Pro Brick and Pave was opened in 1998 by Johan Hendrik Grebe in Polokwane, Limpopo after he retired from his own Building Company Grebe Construction in the Northern Cape. He has managed the company on his own for 12 years and established Pro Brick and Pave as a household name in Polokwane. His vision is to see Pro Brick & Pave achieve exceptional results at every level. 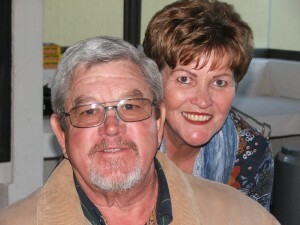 The company was handed over to his son, Nico Johan Grebe and his daughter Rene Beukes in 2012. Enabling a large amount of youthful energy initiating new ideas in the ever changing technological climate. The Company specializes in Earthworks, Paving and Curbing. We manufacture and erect Precast walling as well. The company has grown from a small business to a very well established medium enterprise. We strive to become the biggest and the best paving Company in Limpopo. Pro Brick and Pave is dedicated to deliver high quality, cost effective projects safely. We achieve that by employing and supporting motivated, flexible, and focused teams. We value the importance of our relationships and will continue to remain fair and true in our dealings with all clients, vendors and partners. Our clients count on our dependability, our drive and our integrity. We take great pride in our accomplishments and build on them every day. We believe our commitment to delivering the best projects, allows Pro Brick and Pave to be a premier Paving and Precast construction company in Limpopo.